Willmott Dixon Interiors picked up three Considerate Constructors Scheme (CCS) Awards including a Gold for Old Admiralty Building for the refurbishment of the iconic grade II listed building in Horseguards parade. Imperial College London’s Dyson Building and Travelodge Welwyn Garden city picked up bronze awards. 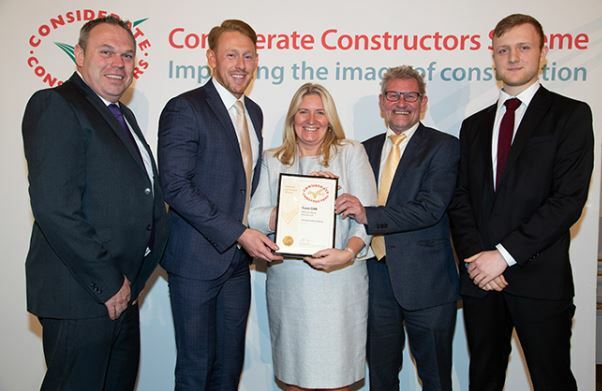 The CCS Awards recognise sites registered with the Considerate Constructor Scheme that have raised the bar for considerate construction and help to set the benchmark for other sites to follow. At Willmott Dixon Interiors we pride ourselves on our approach towards social value and sustainability and are always striving to achieve excellence in these areas on all of our projects. Therefore, we are very proud to receive recognition from the Considerate Constructors Scheme for our efforts on all our sites.